Bonacio has transformed Downtown Saratoga. Any questions? Saratoga Springs is much more my speed these days, thanks to Bonacio Construction. Case in point: When I was 16, I had to borrow my parents’ Honda Accord to drive to Wilton to catch a movie. Nowadays, I can just take the 15-minute walk Downtown from my boyhood home on Second Street to do the same thing. Thanks to Bonacio, which was instrumental in the development of the Railroad Place area (an eyesore for years), the city now has the sprawling Bow Tie Cinema. The list of beautiful, beneficial Bonacio builds abounds. Noshed on chips and salsa at Cantina or imbibed a Gin-Gin Fizz at Hamlet & Ghost lately? Both spaces were renovated/remodeled by Bonacio. Heck, even the building I’m writing this story in right now—The Washington on Broadway—is a Bonacio original. 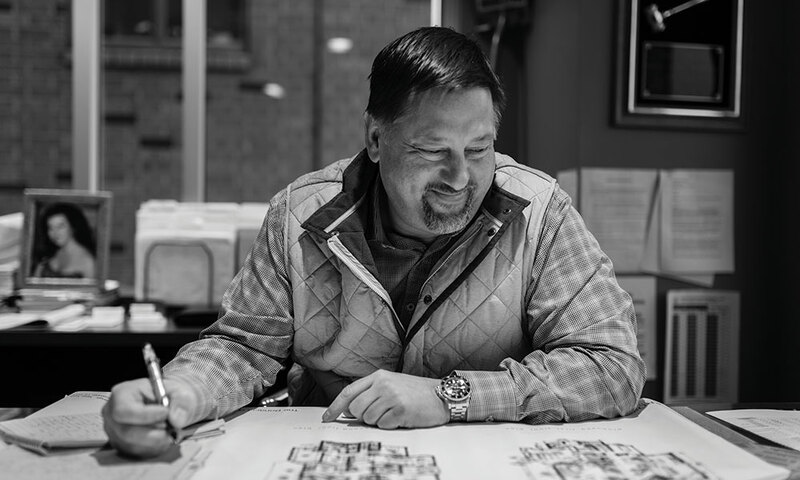 In a little more than three decades, Bonacio Construction has developed more than 1.5 million square feet of real estate in Downtown Saratoga. Chew on that for a second. Who’s the construction behemoth’s wizard behind the curtain? That would be its President, Sonny Bonacio, who, like me, is a Saratoga native—or, more specifically, “Saratoga Springs maternity ward class of 1967,” as he puts it. He also graduated from Saratoga Springs High School, and after earning a degree in Construction Management, set up shop here in 1988. 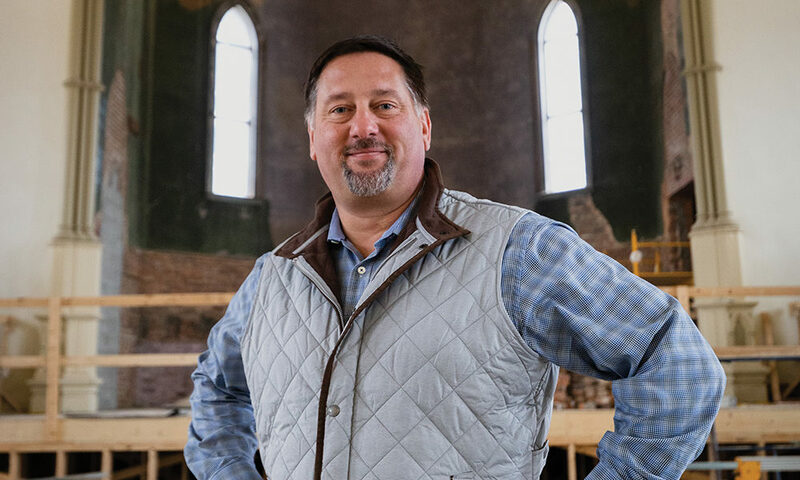 Back then, he tells me, “It wasn’t cool to stay in Saratoga after you graduated college.” But he and his wife, Julie, the firm’s Vice President and Owner of the local powerhouse real estate brokerage firm, Julie & Co. Realty, wanted to change that mindset, making Saratoga a place its residents never want to leave. This came not only in the form of commercial projects, such as the movie theater and the luxury apartments that flank it, but also the construction of private homes and historic renovations. Bonacio cites 46 Union Avenue—a new build, right down the street from Saratoga Race Course, on the site of an old Skidmore College dormitory, that was designed to fit right in with the towering Victorians around it—as the perfect example of this ethic. “We created a structure that looks like it’s been there for 150 years,” he says. Indeed, I, for one, have driven by the building every day for months and had no idea that it was a completely new build. Look, sometimes I pine for the less-developed Saratoga of my youth—and yes, Bonacio’s aware that he has critics out there who aren’t all stoked about how much the city has been developed over the past three decades. But he thinks it’s a two-way street: “I feel that a community in Upstate New York that’s growing, increasing its employees and employers Downtown, is a success story.” I can agree with that—especially the next time I’m shoveling popcorn down my gullet and enjoying the hell out of the latest flick on Saratoga’s newest Downtown silver screen.